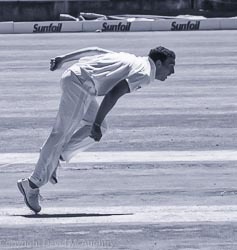 Some high speed telephoto shots of the South African’s herculean and ultimately unsuccessful efforts to win the final Test of the series. 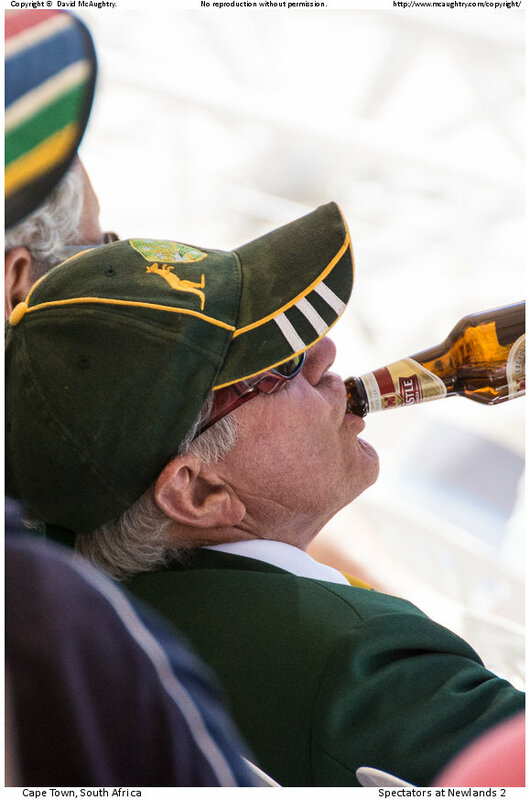 My chum M*rt*n is, as you would imagine, both a member of Lords, and of the Newlands club in Cape Town. Newlands has to be one of the most spectacular grounds in the world – with the huge backdrop of Table mountain looming behind, and very fine pavilions surrounding it. 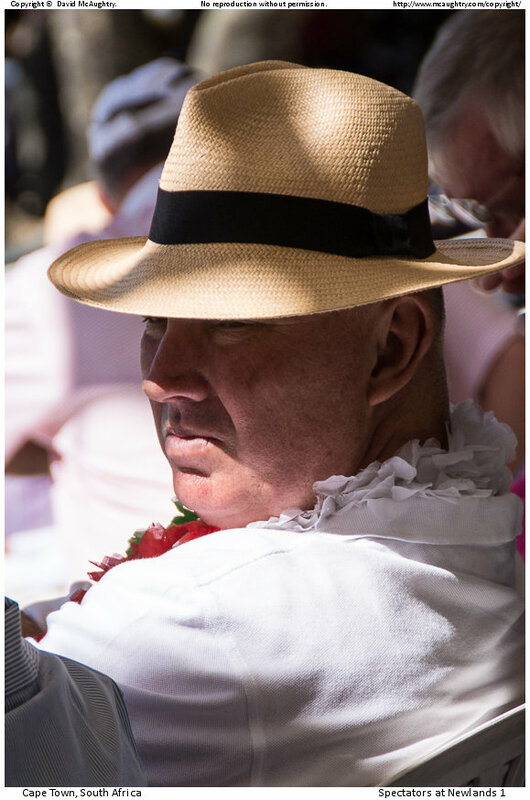 He generously ferries friends into the key matches, and I was delighted to be invited to the first day of the last Test. No point in trying to explain cricket to you if you are not a member of the Commonwealth. For Americans for example, merely the fact that a single match usually lasts five days is sufficient to generate purple-faced incredulity. This mind you from a country that does not consider it necessary to invite other countries to the world championship of its own summer sport. Test match cricket has a different rhythm and strategy to the shorter one-day or 20/20 games, not least in the latter’s dependence on the Duckworth-Lewis method (see graph to the left for a simple overview). For example, the test game can often be determined by changes in the weather. Since the existence of weather, rather than climate, is a bit baffling to some Americans, we again start to disconnect. Anyway on this occasion the South Africans were unlucky enough to lose the toss on a very dry and fast wicket. In damper conditions in the prior test they had got a degree of turn to the ball that flummoxed the Ozzies, but this time around they were not so lucky. The Australians elected to bat, and in the absence of dampness, and with a new ball, the South Africans had to put on their pace bowlers. They toiled all day, but the Australians, particularly Warner, just piled on the runs. Eventually (after 5 days) the test and the series was lost. Even though we were ensconced in the member’s pavilion, the wicket was a long way from our seats, so posed a challenge in photographic terms. Cricket is a game in which, by and large, 2 or 3 people move, and 21 (including the umpires) remain motionless. I thought I would try to capture the bowlers, who were getting speeds up to 140-150 kph/hr from the ball. So quite a challenge – huge telephoto, plus very high-speed shots required. Fortunately I had just the tool. This was the little Nikon V1 camera I referred to in the last post. This has a crop factor of 2.7, meaning that when big Nikon lenses are attached, they are 2.7 times longer than when on a full-frame camera. I put on an 18-200mm zoom, and this gave me a focal length of 540mm, which would require two people to carry it if it were a full-frame lens. Coupled with a 1.4 tele-extender it gets to around 800mm, which if such a lens were made, would require two people plus a small hand-cart. Plus, and this is the amazing thing – the V1 is the fastest focusing and shooting general-purpose camera available bar none. The Nikon D4 for example can manage 10 shots per second. The little V1 however can do 60. And it will run for a second – so you get a huge burst of 60 shots from a single press. This was my first experience of shooting sports, and it was quite fun. I may do it again – it certainly works for birds as I will show in some later posts. And I was impressed how the V1 captured the huge effort the pace bowlers put into their actions. 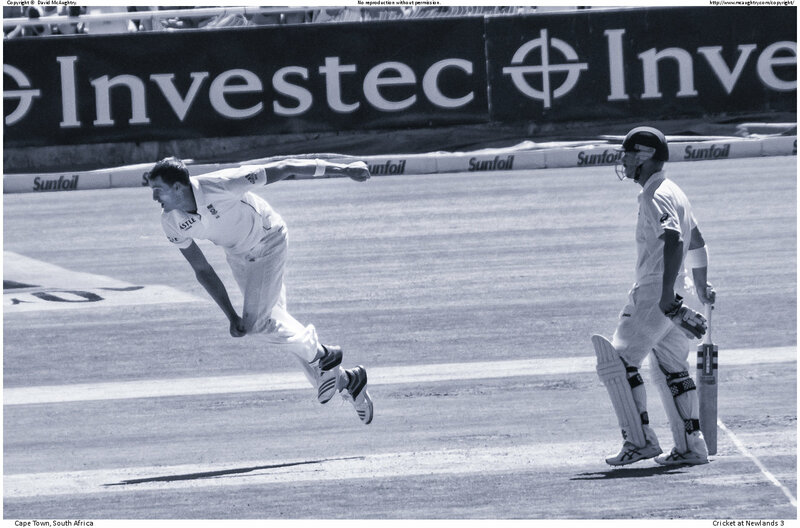 Interestingly (to me anyway), the moment of maximum energy seems to come after the ball is released, when all the momentum of the bowler’s body mass has to be dissipated. 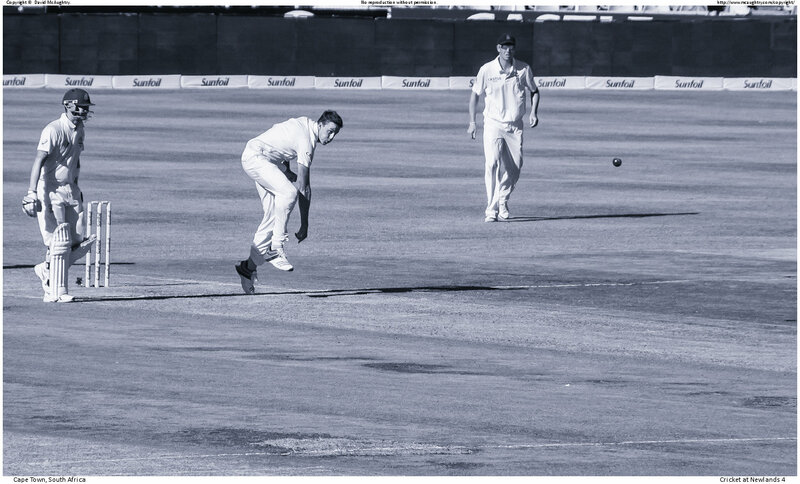 You can see both below, where I have selected a few shots of the ball in flight (across the screen at 140kph/hr – note how crisp it looks), and the bowler’s follow-through. So here are the photographs. As usual, instructions on viewing them are at the end of the post. Bowler’s names can be found via the ‘i’ button. 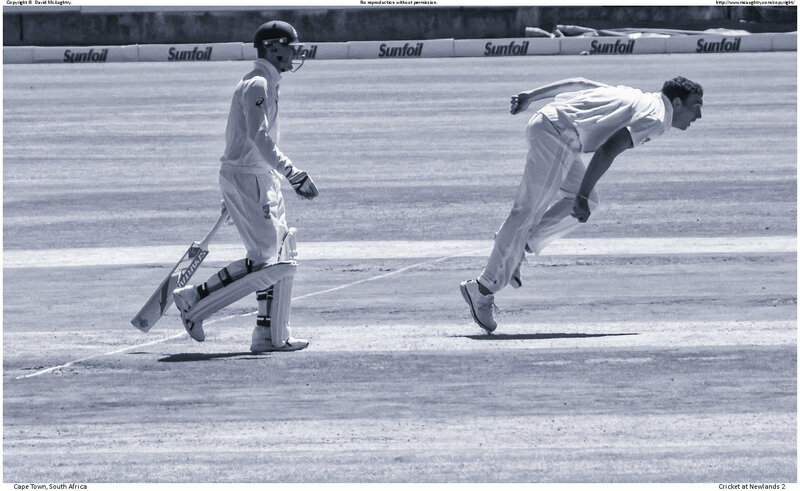 Some shots of the March 2014 match where Australia were beaten in the last test and so lost the series. Taken with a Nikon V1 and an effective 800mm lens. Some shots of the March 2014 match where Australia were beaten in the last test and so lost the series.